Tucked far away from the crowded city life, the Alloa Hills Resort near Pindarda on the outskirts of Ahmedabad was the perfect playground for the Ahmedabad Great Escape. 36 teams registered to delve in the spirit of off-roading which was divided into three broad categories – 2WD trail drive, for those who wanted to spend a morning enjoying the countryside; a 4WD trail drive, for the more adventurous 4x4 owners and the trophy challenge, a competitive event for the enthusiastic off-road nut. After a sumptuous breakfast and a quick briefing, the participants were flagged off by our sponsors which included officials from Maxxis tyres, Come-Up winches, Gulf Oil and Hella. 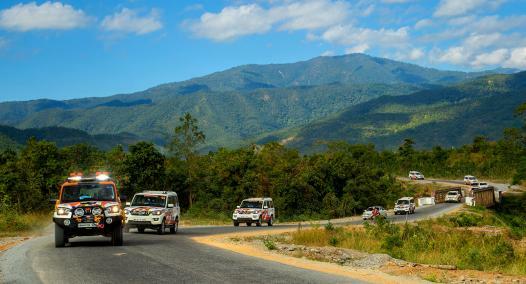 The 15 cars registered for the 2WD trail drive and the 13 Mahindra 4x4 SUVs registered for the 4WD trail drive, traversed through the naturally rugged 400 acre property paving a path through the forest tackling inclines and descends along the way. On the other hand, the 8 vehicles for the trophy challenge (both modified and stock) tackled four specially designed obstacles. 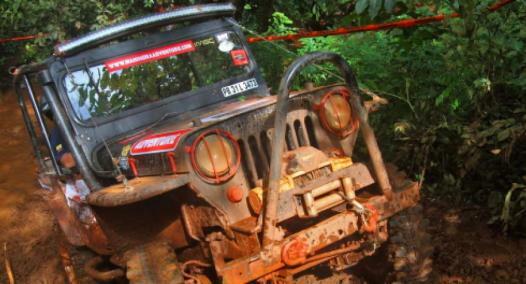 The participants battled it out, driving through sand, tackling steep inclines and descends, crawling over rocks and driving on sand through the river bed. After a day of kicking up dust, Devendra Singh Rathore and Tushar Patel finished first and second in the stock category, while Pranay Desai and Jignesh Mistry bagged first and second spots on the podium in the modified category. 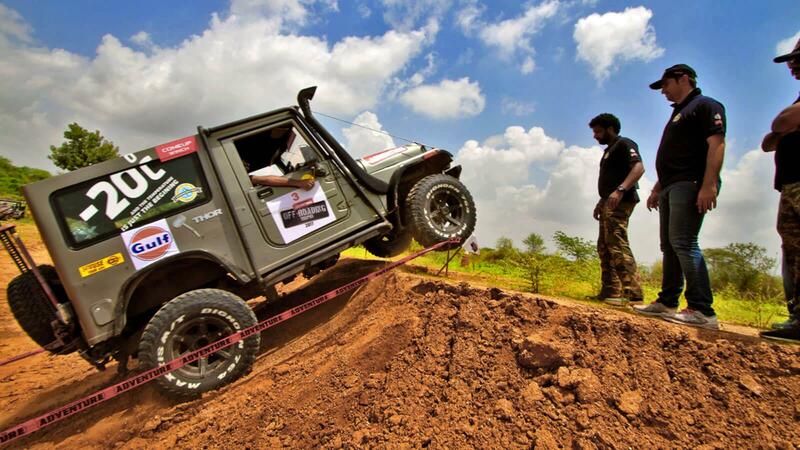 All the four winners will battle it out with other participants from different regional events in the grand finale of the Mahindra Adventure Trophy Challenge at the company’s Off-road Academy at Igatpuri. 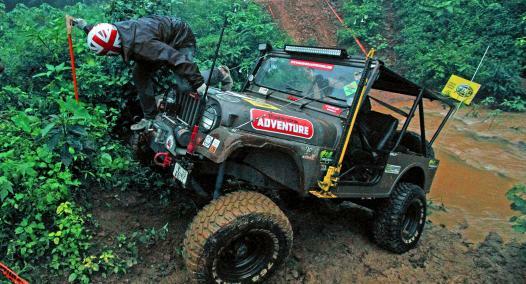 The year was 1996; Mahindra organized the first ‘Great Escape’ in Goa.